Anya Hindmarch’s handbag career began with a simple drawstring leather duffel—a style she frequently noticed women carrying while studying in Florence in the late '80s. Taking advantage of the trend, she sent one of her own creations to a popular British magazine and began fielding orders shortly thereafter. Two decades and one Best British Accessories Designer of the Year award later, and she now helms her own successful accessories label, a line beloved around the globe for its instantly recognisable brand of quirk. From Anya Hindmarch stickers to embellished wallets and smiley-face totes, every item is guaranteed to lift your mood. 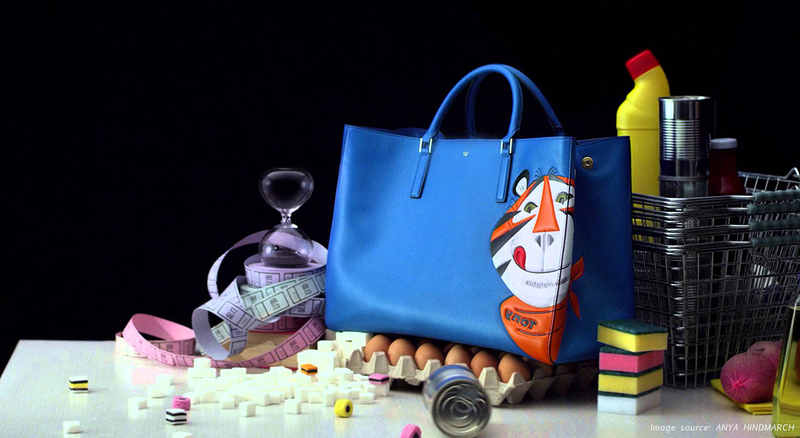 From personalised totes to sought-after shoppers, Anya Hindmarch's covetable accessories have been thrilling fans for over twenty years. 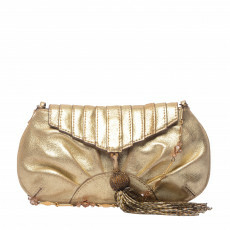 Get carried away with her glitter-encrusted clutches, statement leather wallets and pretty yet practical cosmetic cases.